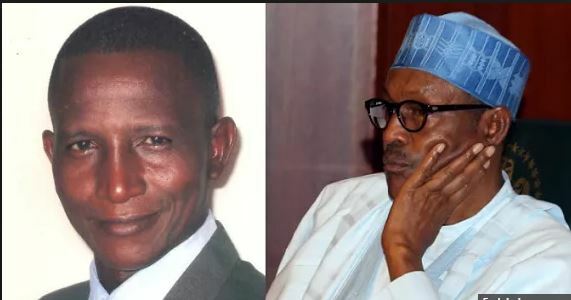 Victor Koreyo, a lecturer at the department of ceramics and glass technology, Akanu Ibiam federal polytechnic, Afikpo, Ebonyi state, has written to President Muhammadu Buhari to renounce his Nigerian citizenship. “I believe this peaceful action and step of honour will prevent the rector from killing me by the premeditated frustration of my constitutional rights to social justice as the citizen of Nigeria. I have nursed this feeling of suicide to end these eight years of frustration by the rector and officials of the Akanu Ibiam polytechnic division of tertiary education department of the federal ministry of education. The post [PHOTO] Ebonyi Polytechnic Lecturer Writes Buhari, Renounces Nigerian Citizenship Over Alleged Injustice appeared first on LATEST NIGERIAN NEWS BREAKING HEADLINES NEWSPAPERS.